“It is a family that is under incredible scrutiny.” Netflix has released new behind-the-scenes previews for their upcoming series The Crown. From Peter Morgan, the drama tells the story of a young Queen Elizabeth II. The cast includes Claire Foy, Matt Smith, Jared Harris, Vanessa Kirby, and John Lithgow. The Crown debuts on November 4th. What do you think? Are you interested in Queen Elizabeth II? Will you watch The Crown? More about: Netflix TV shows: canceled or renewed?, The Crown, The Crown: canceled or renewed? The Crown: Who Will Be Part of Season Three? 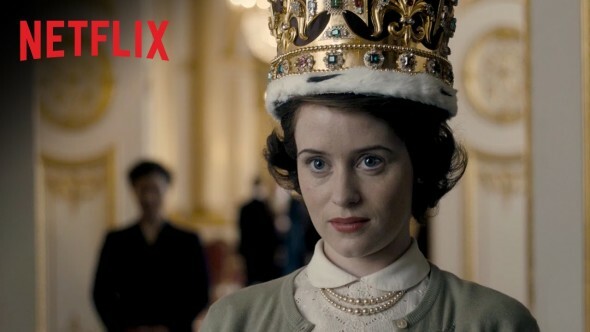 The Crown: How is the Netflix Series Doing in the Ratings?